We offer turnkey breaks, so just get in the saddle and enjoy the countryside around you! Our turnkey breaks mean that you can easily organise all parts of your route – accommodation, activities, outings and special-price bargains. Tourism professionals offer all-inclusive stays allowing you to enjoy unique moments along the way. When you ride along La Loire à Vélo, everything is done make your trip easier. Many different establishments (accommodation, bike hire, repairs, tourist offices, recreational sites) bear the Accueil Vélo brand, which represents a strong commitment to users. You’ll spot them by the green logo and their welcoming smile. From west to east or east to west, with this easy solution you can ride alongside the Royal River without a care. But don’t forget to take in the natural and cultural wonders that surround you! – 7 days from Angers and Croisic exploring the countryside and gorgeous vineyards by the Atlantic Ocean. 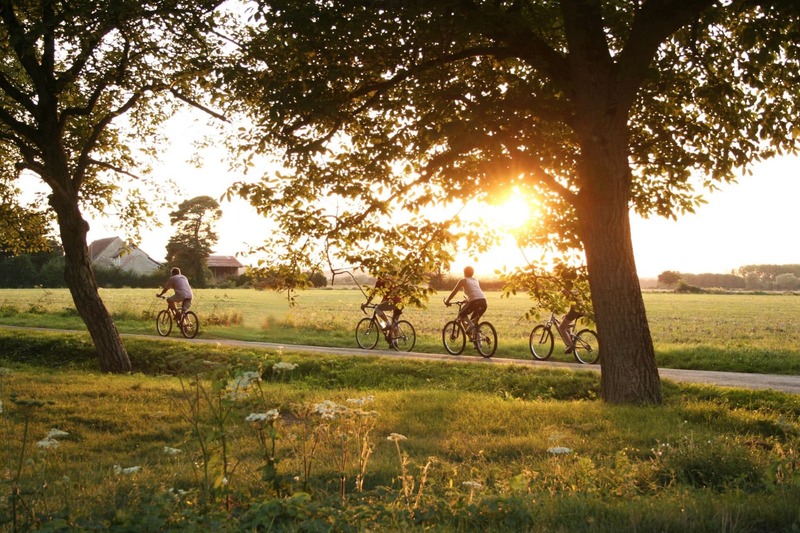 – Four-day bike tour from Angers to Nantes which combines cycling and activities so that you can stay close to the Royal River and enjoy the peace and quiet. – Two days cycling and kayaking on the banks of the Loire. Perfect for nature lovers. 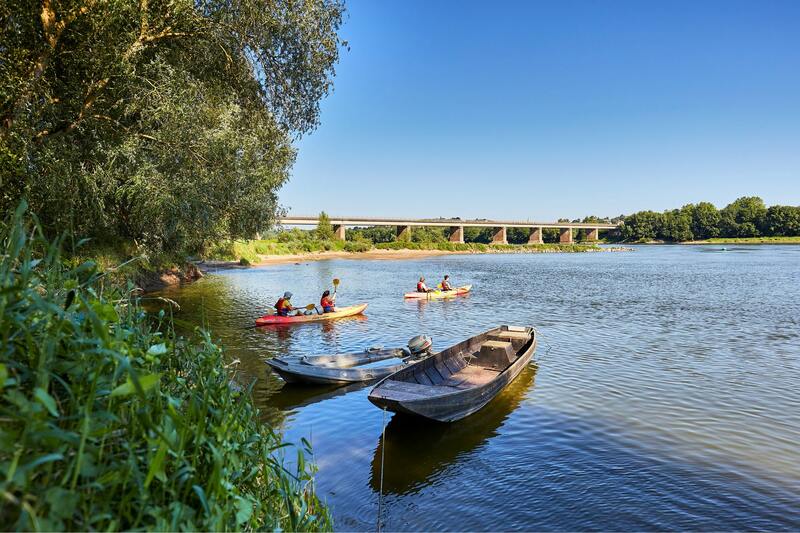 – Travel along the banks of the Loire in search of adventure and fun. There’s plenty to discover! ©-A.-Lamoureux- Two days biking from Tours to Chinon via Azay-le-Rideau, passing by vineyards and châteaux. – Six days (four in the saddle) from Orléans to Tours, via charming little villages along the banks of the Loire. ©-D.-Darrault- Three days of cycling and family outings to discover three must-see châteaux: Royal Château of Blois, Château of Cheverny and Chambord! – La Loire à Vélo from Nevers to Orléans: 7 days, of which 5 riding, from the very start of La Loire à Vélo, passing through the Sancerre vineyards and over the Briare Canal Bridge. ©-P.-ForgetDiscover more about the turnkey breaks here.